The book carries an advisory that it is intended for children aged 7-11. Younger readers will enjoy the book under supervision. As the title suggests, this is a fun book, packed with information and things to make and do. DESCRIPTION: The book carries an advisory that it is intended for children aged 7-11. Younger readers will enjoy the book under supervision. As the title suggests, this is a fun book. Piracy may today be a grim subject as it has been for past generations, but the 17th and 18th Century pirate has become a romantic figure and holds a special interest for children. There is some history in short paragraphs, lots of things to do and make, all with colour photographs and drawings. 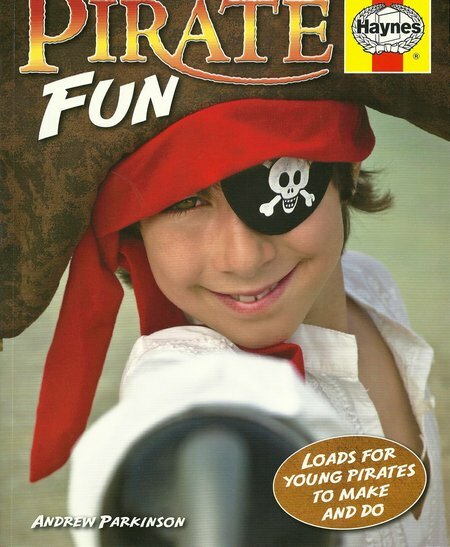 This is a book to entrance and absorb the young aspirant pirate, from weapons to make, to cookery rules for pirates, including a brass monkey with a pile of Maltesers for cannonballs to accompany a paper and wood cannon. At a time when many publishers are surrendering to the video game, this is a very welcome book that will encourage children to work with words and make their own amusement. An ideal gift for the younger reader.